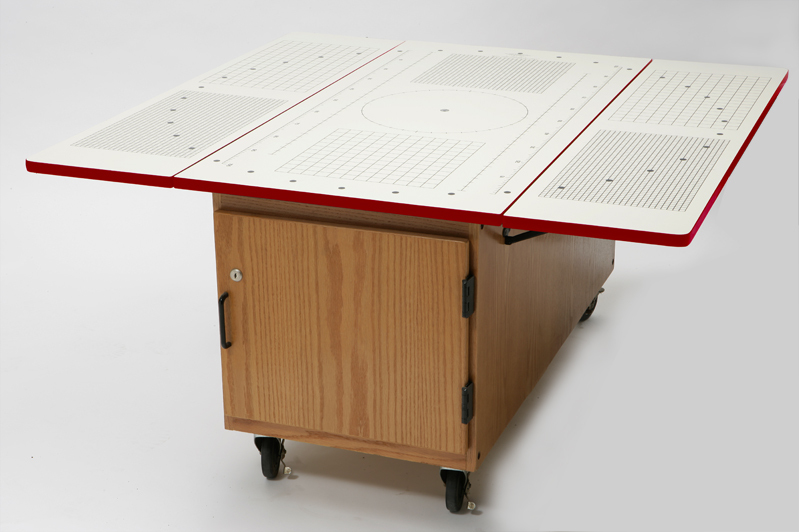 Mounted on locking casters, the Portable Discovery Center can be moved with ease. This unit comes with many accessories, including the Science Starter Kit and Activity Book that provide project ideas and supplies for student experiments. These accessories can be kept safe in the lockable storage that runs the length of the unit. 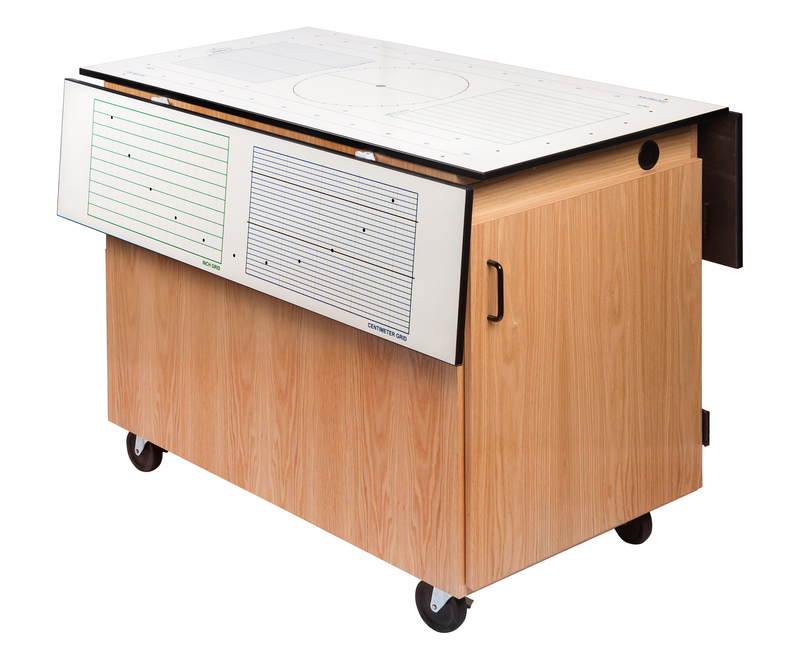 Drop leafs make this unit ideal for large groups while still easy to store and transport. Accessories include the following: Eleven white fiberglass tote trays, three fiberglass tote trays, and four locking swivel castors. Center comes complete with locks. Accessories also include one set of upright rods, consisting of two clamp-on uprights with “C” clamp bases, two 90-degree connectors, and one horizontal cross bar.